"Toy: Nurse Eggwhite" by Normadeane Armstrong Ph.D, A.N.P. 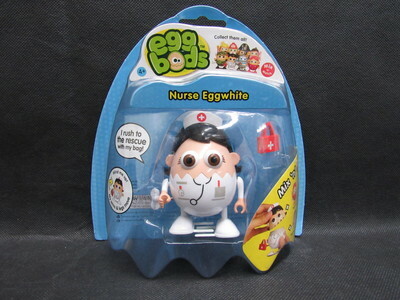 This is an Egg Bods plastic figurine depicting Nurse Eggwhite. The toy was made in China but distributed by Bluw Inc. located in Denver Colorado. The toy is a variation on a Mr. Potato head in that the arms, legs, heads, and accessories are all interchangeable.